At least, the two new dogs I met this week at Orphans of the Storm® are agile! 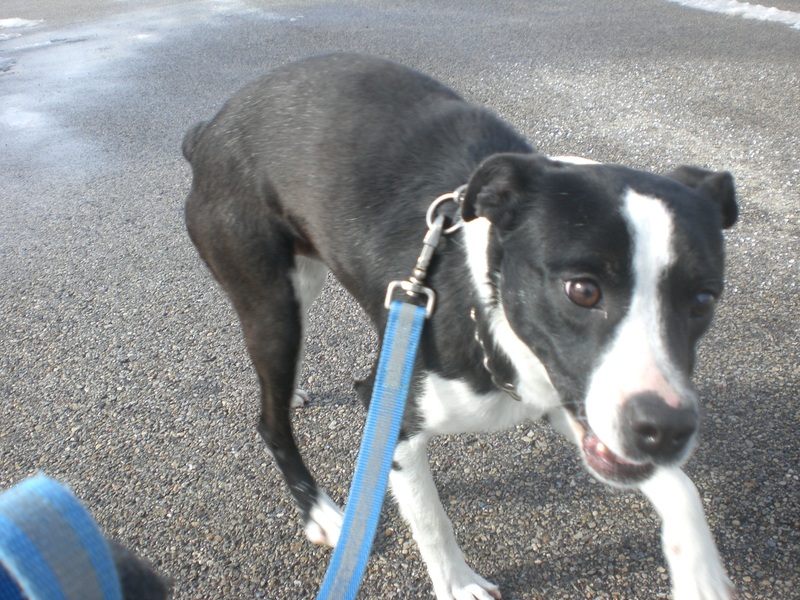 Jessie the nine-month-old Hound/Labrador Retriever/Border Collie mix is absolutely adorable. What a sweet little puppy! 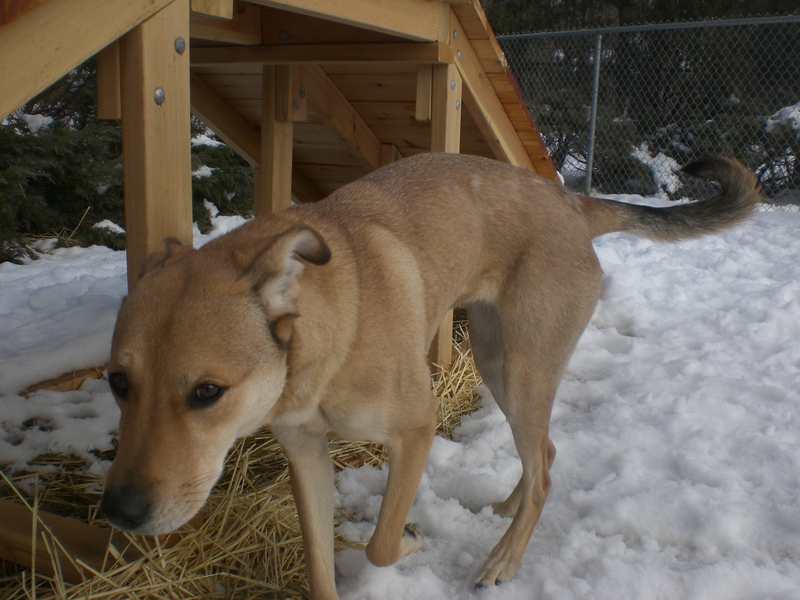 Jessie is all wiggles and puppy kisses who loves to romp around, especially in the snow. This pup also enjoys quality snuggle time, and at least for the time being could potentially squeeze into her new owner’s lap. If you are the lucky one who brings Jessie home, know that she has a natural inclination for agility! When we went inside the off-leash run, Jessie climbed right up, over, and down the agility bridge without a second thought. With her mix of breeds, she could be an agility champion! (Or just enjoy it as a fun way to bond with her owners.) This sweetie is too cute, so come in soon to meet Jessie! Miley the four-year-old Shepherd mix may be the first dog I will describe as ‘graceful.’ I think it’s partially because of her long legs. Miley enjoyed running around the off-leash run, but her running was more like delicate leaping. Seriously! Even when she’s just walking, she almost looks like she’s prancing. Miley comes from a family who was moving and couldn’t bring her along, so she is used to being in a home and seems a little nervous in this strange new setting of the shelter. She is seems like the type to warm up to strangers quickly, though, and is extremely friendly with other dogs of all sizes. She and the little Papillon mix (who has since been adopted) got along great. Miley is ready to welcome a new family into her heart. Are you ready to welcome Miley into your home? I also spent some time with some old friends. Winter the Pit Bull Terrier mix and I took a brief walk, and she was as great a walking buddy as before. She also leaned her whole body against my legs at one point so I could give her back and side a nice rub, and gave me a little doggy kiss as a thank you. Sweet girl Ebbie the Shepherd mix wasn’t quite sure what to make of all the snow. Watching her try to walk through it all was a little funny (I can’t say ‘agile’ came to my mind), but she figured it out pretty quickly and enjoyed her time outside. Rizzo the Shepherd mix, with all his fluffy fur, loved being in the snow. He was running around with his big, poofy tail wagging all the time. Molly the Pit Bull Terrier mix preferred to curl up in the dog house inside the yard rather than try to make her way through the snow. But she just loves people so much! That cute tail of hers never stops wagging when someone is petting her. I also walked kennelmates Molly the Boxer/Shepherd mix and Reebok the Shepherd mix. Reebok has calmed down a lot from the first time I took him out a few months ago, and does much better on the leash now. Molly just wants to play and have fun, and would love a new family! And, of course, I took out my buddies Bandit the Labrador Retriever mix and Lilly the Labrador Retriever/Shar Pei mix. Why are they still at the shelter? I have no idea. 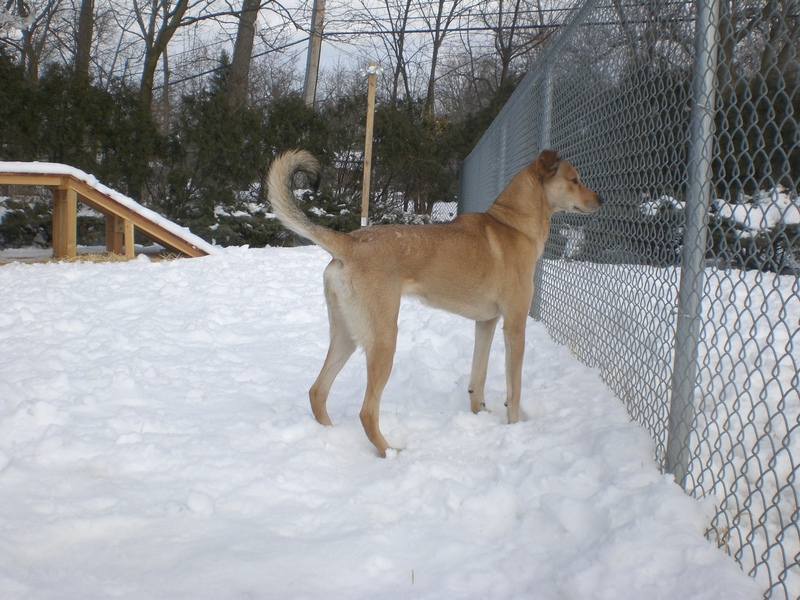 Come visit them and get to know how wonderful they, and the other dogs at Orphans of the Storm®, truly are! 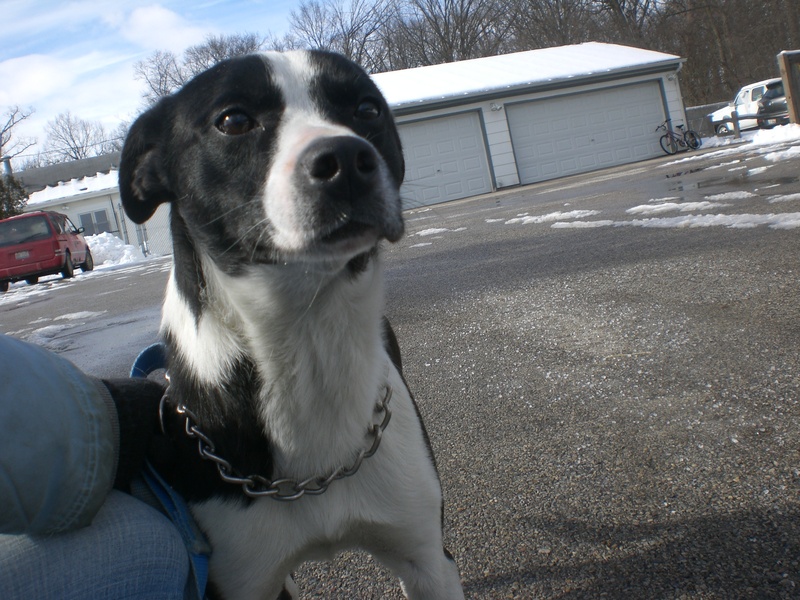 Posted by Meet the Pooches on March 7, 2013 in Dog Profiles and tagged adoption, agility, animal shelter, animals, Border Collie, Chicago, dogs, Hound, Labrador Retriever, Orphans of the Storm, pets, Shepherd. I enjoyed your post. Thank you for sharing. Thanks for sharing the photos and your story.